Urban Food Fest was founded by City lawyer and investment banking duo Jessica and Mike. 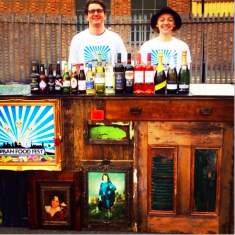 The Urban Food Fest street food and bar night market at the Euro Car Parks, 162-167 Shoreditch High Street, Shoreditch, London, E1 6HU is open every Saturday and our market at the Euro Car Parks on Deansgate, Manchester, M3 4LY will open in Summer 2019. The markets are free entry and open from midday to midnight. Email events@urbanfoodfest.com to claim your free drink at the market! Each market has 15 different street food trucks and stalls every Saturday serving a delicious array of global gourmet street food dishes alongside a premium bar and specialist cocktail bar with craft beers, cider, exclusive Urban cocktails, spirits, shots, wines, prosecco and champagne, plus live musicians and seating areas. This unique and exhilarating atmosphere has been enjoyed by hundreds of thousands since our launch. Urban Food Fest has received first class national and international reviews, with features in Time Out, Vogue, The Times, Esquire, Daily Telegraph, Evening Standard, City AM, FT, Grazia, Daily Mail, Metro, Instyle, Shortlist, Cosmopolitan, New Zealand Times, China Daily and The New York Times, as well on TV and radio including Sky News, Channel 4, CNN, MTV and BBC Radio. 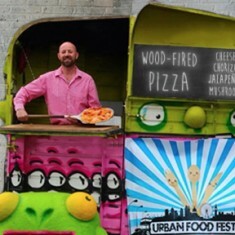 Urban Food Fest won the accolade of being Time Out London’s Number 1 event, being The Daily Telegraph’s Number 1 Top Thing To Do and Elle magazine states the markets are “unmissable and hi-low to its achingly cool core”. Our street food trucks, stalls and bars are available to hire for corporate and private events across the UK. The Urban Food Fest events team has created events for global brands including Apple, Nike, Manchester United, Adidas, Tsingtao, Tate & Lyle, Coca-Cola, Heineken, Lexus, Volkswagen, House of Peroni, New Balance, GAP Clothing, BMW, Ebay, London Business School, Innocent Smoothies, Accenture, Sony, River Island, Unilever, New York Times, Waitrose, Firetrap, Fuller’s, Carphone Warehouse, Superdry, Smirnoff, William Hill, Eleven Paris, Havas Worldwide, Hollywood actor Henry Cavill, actress Lake Bell, British Red Cross, Red Bull, Kuoni, University College London, law firms, international corporations, property funds, office parties, art galleries, conferences, weddings, business breakfasts, birthday parties, product launches, family lunches, sports events, community carnivals, private garden parties, anniversaries and more. Our beautiful vintage furniture collection is available to hire for weddings, parties and corporate events across the UK, to bring style to any venue. Our vintage furniture collection includes vintage chairs, dining tables, suitcases, crates, ladders, armchairs, drink podiums, seat cushions, milk bottles, large glass bottles, jam jars, embossed ice buckets, wooden bars, side tables, flower pots, signage boards and bunting. Our events team can also provide waitressing staff, musicians, indoor and outdoor games and fun fairs, magicians, face painters, stilt walkers, decorations, event invitations, bespoke menus, tents and marquees, screens, sound, lighting, event props, floral displays, on-site event management and much more. 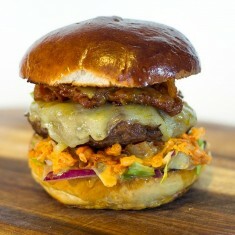 Other areas of Urban Food Fest include bringing our street food market concept to other locations across the UK, as well as the Urban Food Fest Deli in the famous Selfridges Food Hall, London, which takes our fun and unique pop-up concept indoors for the first time ever and our range of premium snacks. Urban Food Fest: Turning the car parks of Britain into your new dining room.